1. 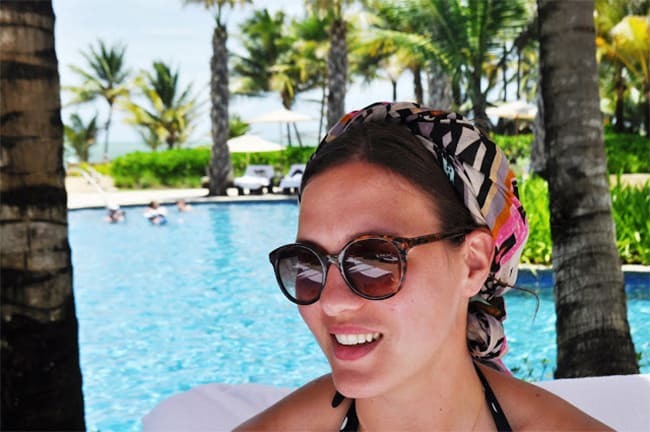 How to Style a Turban Scarf by Hello Glow. This tutorial uses a small scarf to hold onto any hair length. What are you waiting for? 2. Retro Rolled Updo by The Clothes Horse. 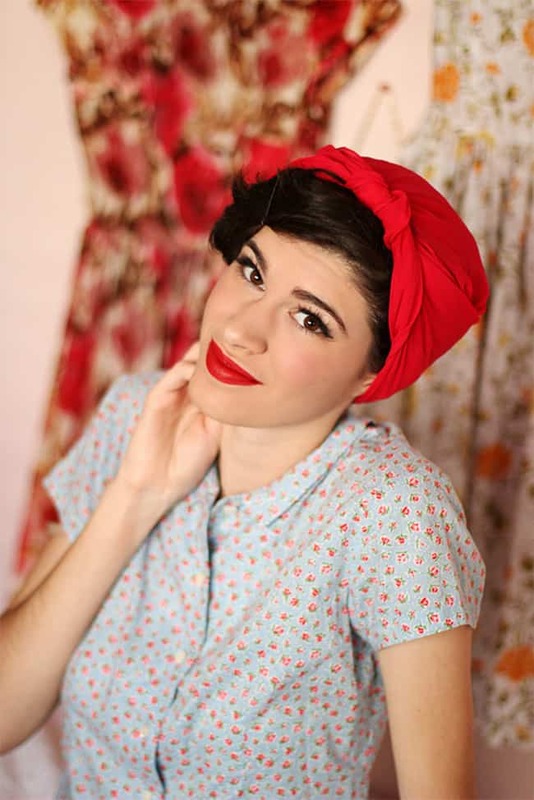 A perfect combination of a retro rolled up updo and the pretty bow scarves of vintage divas. 3. Wire Bow DIY by Skunkboy Blog. Turn an old scarf into a wire bow for extra structure. Use it freely in your bun or ponytail! 4. Faux Updo Tutorial by Keiko Lynn. Pretend you have long, luscious locks even when you don’t, by covering up with a beautiful scarf. 5. Plaid Bun by Hello Glow. 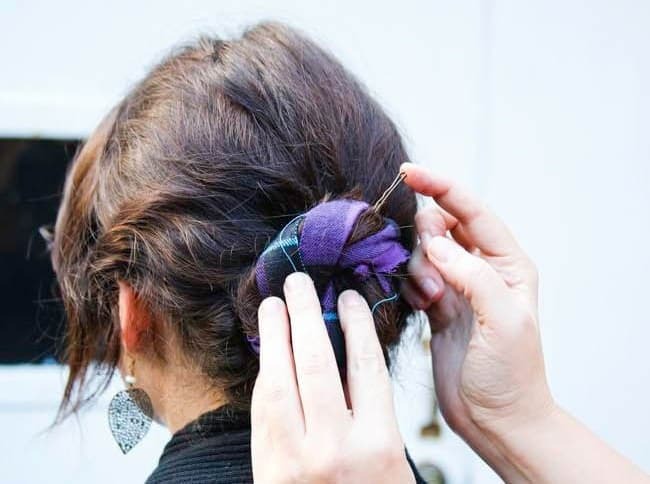 Use a thin scarf to completely change the look of your everyday bun. Instant color with no dye! 6. Half Knot Hippie Wrap by Svetlana Hillkovich. 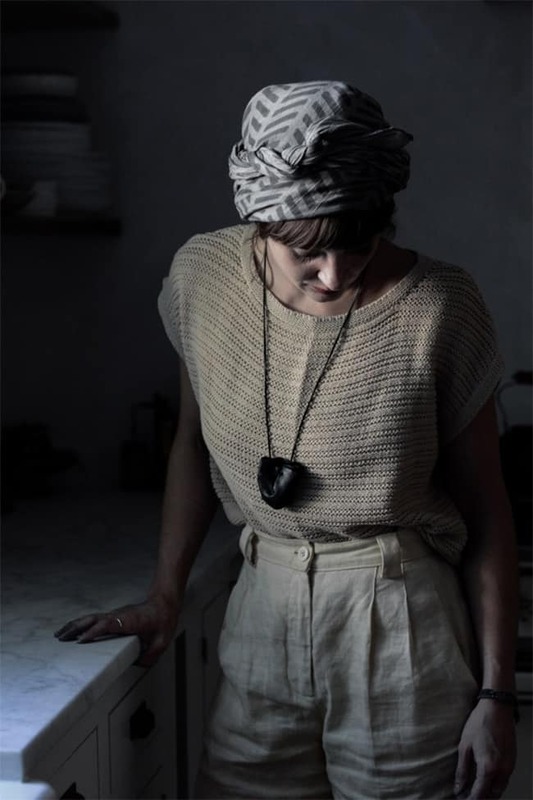 You’ve probably already worn a hippie scarf before, so why not give new life to an old style? 7. Maiden Braid by Scarves. 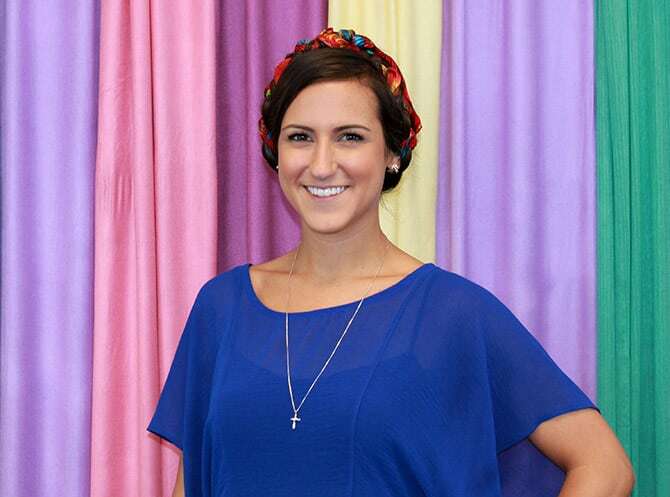 If maiden braids are your favorite, upgrade the classic style with a colorful scarf. Your hair will look more voluminous too! 8. 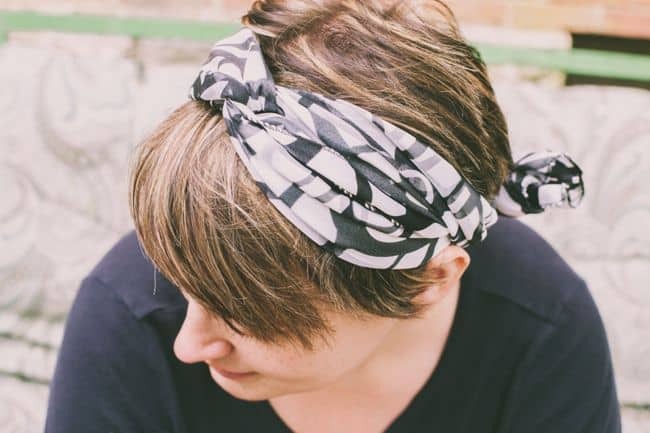 Turn a Vintage Scarf Into a Headband by Hands Occupied. 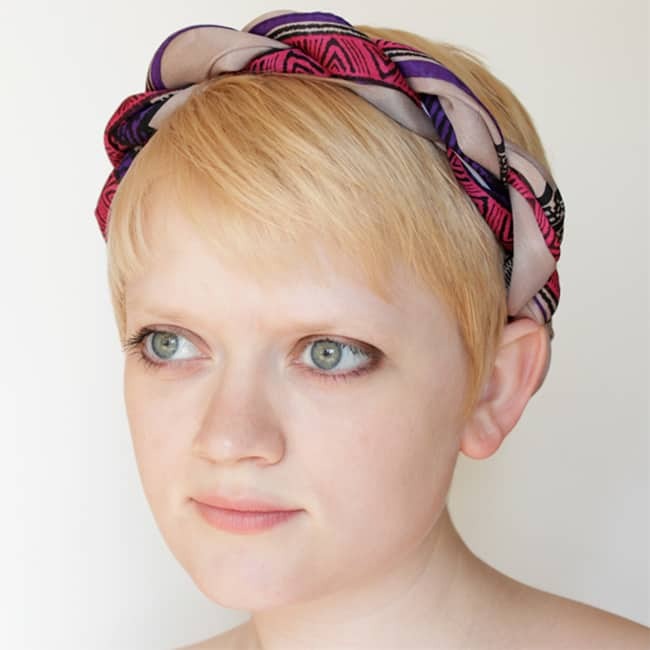 You don’t have to cut your precious silk scarf to get a headband – just twist and turn like this tutorial shows. 9. Beach Waves Scarf Tutorial by Ducklings in a Row. The perfect hairstyle for the beach, which goes perfectly with a pina colada! 10. Knotted Bun Fun by Paper & Stitch. Tie your hair in a top bun on one side and wrap it in a scarf for this fun summer hairstyle. 11. 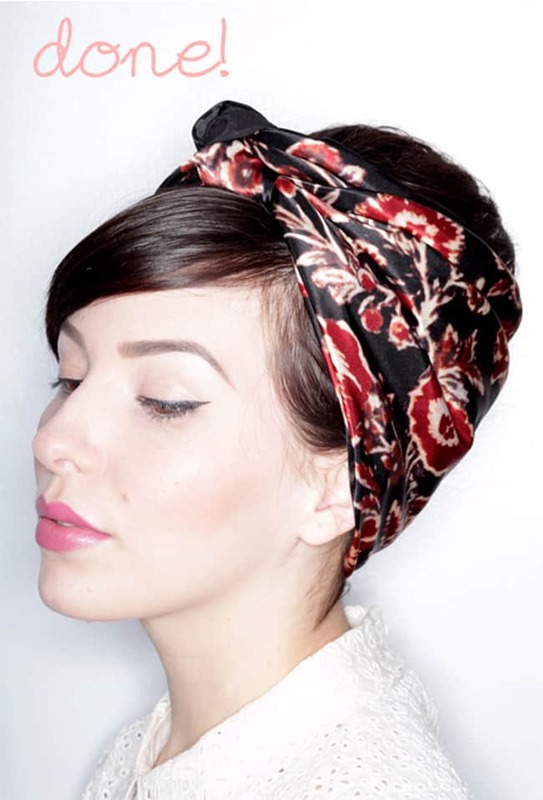 Classic 1950s Headscarf by Into The Woods. Make all your 1950s dreams come true with this easy tutorial that uses a square scarf. 12. 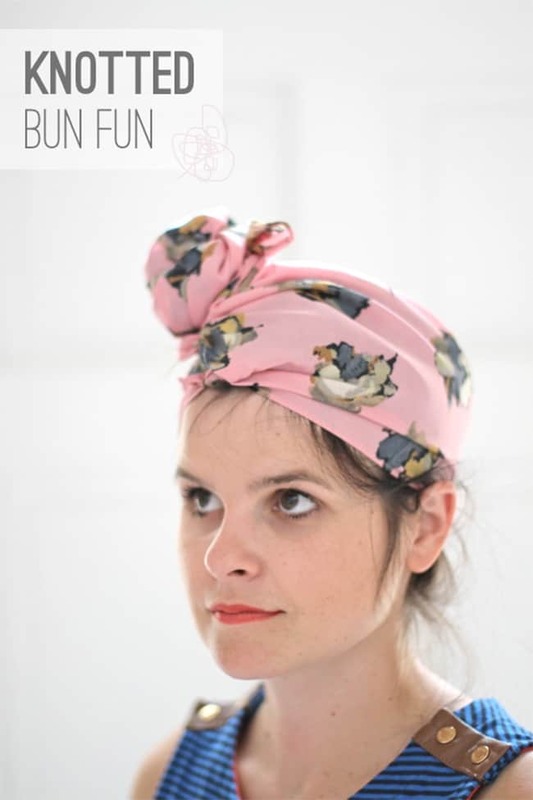 DIY Turban by Honestly WTF. 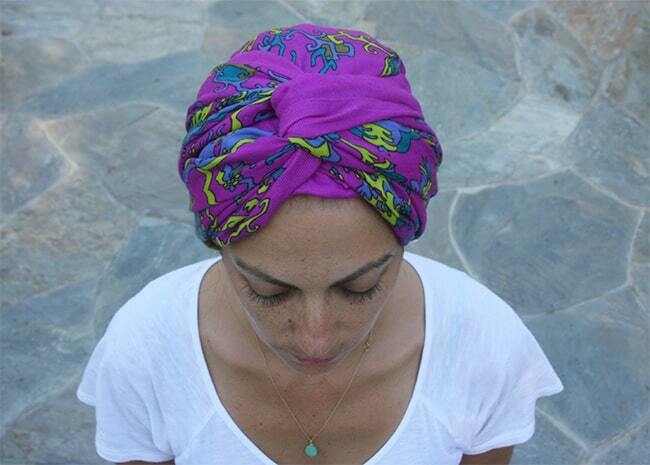 Make a chic turban out of a scarf to keep your hair off your neck and the sun out of your scalp. 13. The Head Sscarf by Local Milk. The same scarf you use for covering your shoulders in the evening can be used on your head when the sun is too bright. Perfect for traveling! Make sure to read up on how to tie a scarf, too! I like women with hairscarf. It looks very feminine. Do you or have you wear shawl on head?